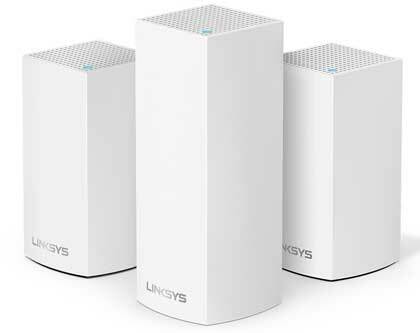 Linksys Velop is a high quality Wi-Fi system that works in perfect harmony to create a high-range mesh wireless network unlike traditional routers with range extenders. The Velop Tri-Band Wi-Fi system provides 100% Wi-Fi throughout your premises with each base-station increasing the Wi-Fi range by 2,000 sq. ft You can add even more boosters to extend even further in larger locations. Utilising wireless mesh networking for Wi-Fi, Velop base-stations seamlessly connect to one another and utilise a single network name and password. There are no unsightly connecting cables, so you can place the sleek, compact units in open spaces. RGB Solutions specialise in wireless networking setups in both consumer and commercial premises of all types and sizes. Contact us today for more information and to organise a site audit.